There are three distinctive types of fluorescent light bulbs. Depending on the type of fixture, the ballast type it has, and the age of your fixture, you’ll be able to find one of these type bulbs more than likely. Though they range in length and width, they all do the same thing, light the room they are in. T12 bulbs are the oldest type still in use in some fluorescent fixtures. These are bigger, bulkier bulbs and the least expensive to buy, although, they are not the most efficient bulbs. The biggest drawback of these bulbs is that they are warm weather bulbs. They need temperatures to be 60 degrees or more to start and operate properly. Below that temperature, the bulbs appear to flutter and are much dimmer as they start up. 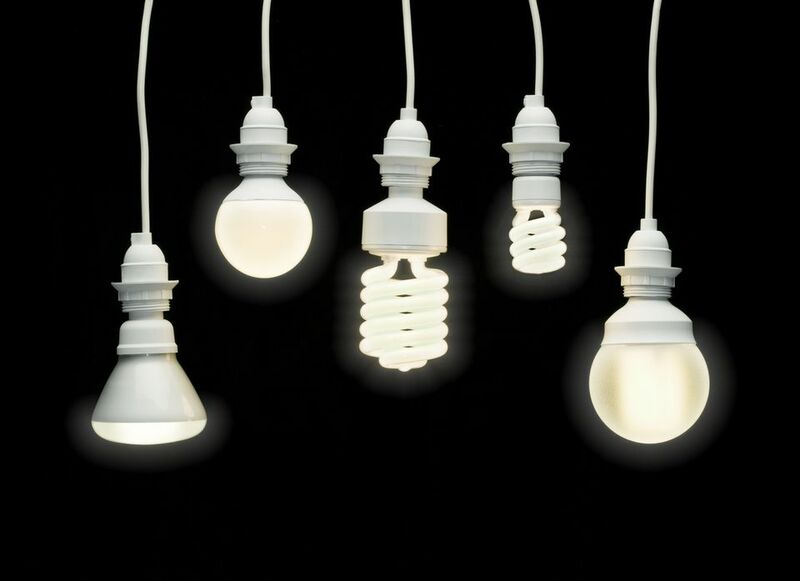 Promoting the need for a change to a more energy efficient type bulb, manufacturers have developed smaller and more efficient bulbs that save money after the initial purchase price. Older factories are seeing the benefits of moving away from these older style bulbs, and with the new age of LED lighting, it looks as though the days of these old style bulbs are numbered. T8 bulbs are more expensive than T12 bulbs but will start much faster. They are excellent at starting at all temperatures, including temperatures below freezing. The starting temperature is set by the type ballast you have installed in the fixture that you buy. The ballast is responsible for starting the light fixture and determines the type of bulb required in each fixture. Be sure to do your due diligence before making a selection of light fixture, especially if you need a cold weather start light fixture. A rapid start ballast may be the right choice for you. Your local dealer can help you choose the right fixture if you give him the parameters of your needs for the installation you require. T5 bulbs are a smaller version of their big brothers. Measuring the only ⅝”, these bulbs are space savers but still put out the same amount of light as the larger bulbs. These bulbs are good for lower ceilings and countertops. Add these to your kitchen to give you a balanced lighting scheme of soft light that is sure to please. Being small, the space required to accomplish this lighting task is minimal, and the result is great. I've seen people use these above and below cabinets to add a unique look to their kitchen, but kitchens are not their only use. Be creative in using these space-saving light bulbs. T5H0 bulbs are identical to the T5 bulbs with one exception; they are much brighter. These are high output bulbs are said to be twice as bright as T5 bulbs. They are a great addition to rooms with taller ceilings. When you are in a pinch for space, these fixtures can pound out the light for the space they need. These bulbs used in fixtures can be great accent lighting in rooms with wall mounting, pictures, and areas that require more light to light the area like tall ceiling rooms. Consider the brightness of the light. What Do Those Letters and Numbers on Light Bulbs Mean? What Is a Pendant Light? What Is It Used for? Why Have Incandescent Light Bulbs Disappeared?